Get more control, ease and flexibility – and remote access. See more. Know more. Control more. This year’s International Society for Pharmaceutical Engineering (ISPE) Mid-Atlantic Science & Technology Showcase (MAST) was held on March 27th at the Turf Valley Resort in Ellicott City, Maryland. Hosted by ISPE’s Chesapeake Bay Chapter, the annual event features innovative technology and cutting-edge products in biomanufacturing and drug development. The showcase is attended by key life sciences and biotech players from across the BioHealth Capital Region (BHCR) and attracted exhibitors from across the country who are interested in engaging with companies in the region. From the showcase floor and the keynote speaker lunch to the education sessions and the after party, the excitement surrounding the region’s impending growth was palpable. Our team manned the Lab Owl booth and canvassed the event catching up with clients and collaborators, meeting many new people and companies, and hearing a variety of important topics and trends that are moving the industry forward. Here are five key takeaways from MAST 2019, which was the most highly attended in the event’s history. 1. The Regional Emergence of Cell and Gene Therapy Shifts Manufacturing Paradigm. Cell and gene therapy manufacturing and their respective supply chains are radically different from more traditional biotech manufacturing processes. 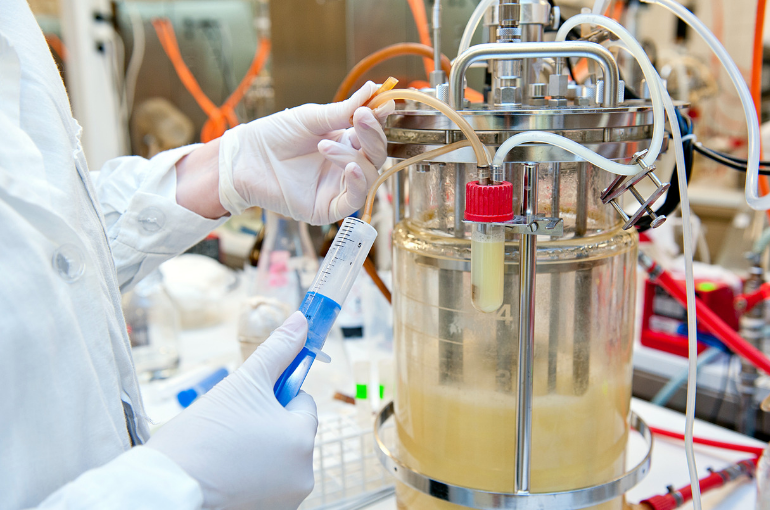 Traditional biomanufacturing requires complex facility infrastructure designed to produce large batches with long lead times. Cell and gene therapy production is personalized: One batch equals one patient and requires more individual batches produced more quickly by smaller equipment that requires highly flexible facilities and a much more complex supply chain. How the BHCR region adapts to cell and gene therapy company needs across workforce planning, commercial lab space development and manufacturing products and services will be interesting to watch this year and beyond. 2. Smart Sensors Reduce Operations Costs. Smart sensors attached to key manufacturing and facility equipment last longer and provide the real-time process measurement required for effective automation. Where pH or DO probes might last two batches max, smart sensors have an extended lifecycle while providing integrated, real-time data and calibration information. Leveraging these mini-data processors, organizations can significantly increase efficiency while reducing operating costs. 3. Single-Use Technology Becoming Strategic Approach. Single-use or disposable technology is rapidly becoming an overarching strategic approach at many biomanufacturing facilities. Just a few years ago, single-use technology was typically used in isolation predominantly for storage and hold applications. Today, stronger awareness of disposable tech’s economic benefits and the emergence of personalized medicine is driving greater single-use adoption. In some cases, entire facilities are being designed around single-use flow paths. AstraZeneca’s MAST presentation on its single-use tech journey from initial use to a single-use management system is evidence of this trend. 4. Automation and New Technology Talent in High Demand. The emergence of new technologies and increased automation within product development and manufacturing is creating higher demand across the BHCR for varying new skill sets. Though the traditional biotechnology talent pool of biochemists, molecular biologists and chemical engineers are still important, the need for good process engineers, automation engineers and IT data management talent is greater than ever before. 5. Rapid Growth On the Horizon. The BioHealth Capital Region is on the verge of rapid growth with approximately 2,000 jobs coming to the area in the very near term. This impending growth will challenge the region in many ways, yet it presents a tremendous opportunity across every facet of the BioHealth Capital Region. The MAST showcase provided the Lab Owl team with a great opportunity to network and collaborate with the very best the region has to offer. We caught a glimpse of the BHCR’S future–it’s certainly an exciting time and Lab Owl is ready to do its part to make this bright future a reality. BioNJ is New Jersey’s largest life sciences trade association, serving nearly 400 member organizations. 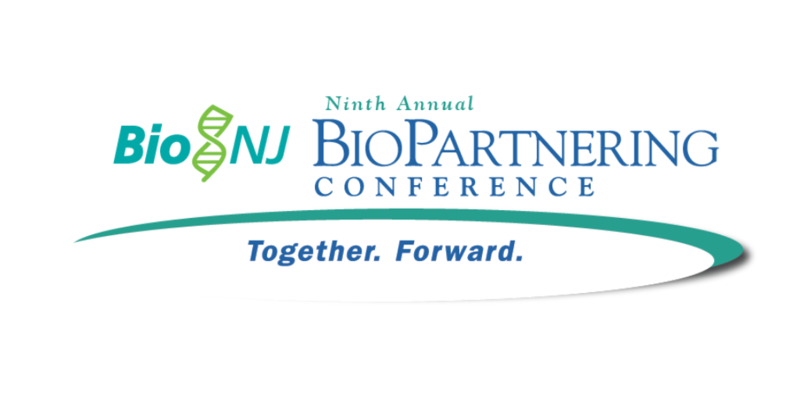 [March 5, 2019], [Neptune, NJ] – Lab Owl™, an Automated Control Concepts (ACC) company, announced today that it has become an official member of BioNJ, New Jersey’s largest life sciences trade association. Lab Owl, a bioreactor control and information organization, joins BioNJ’s powerful network that is dedicated to propelling the Garden State’s rich scientific innovation ecosystem. Lab Owl looks forward to working with the BioNJ team and its nearly 400 member companies to support New Jersey’s vibrant life sciences ecosystem, foster medical innovation and ensure patient access. “At ACC and Lab Owl, we are always focused on ensuring our products and services continue to bring value to researchers and manufacturers. Members of BioNJ include some of New Jersey’s most innovative companies and through our expertise, experience and technology, we hope to help these businesses conduct their research and manufacturing more efficiently and robustly,” stated ACC’s CEO Michael Blechman. ACC has delivered smart control systems that improve manufacturing processes across a wide range of industries for more than 35 years. Lab Owl is the company’s latest automated control and information system product, specifically designed to meet the needs of development labs and growing life sciences organizations. BioNJ provides its members with public policy advocacy (in Trenton and Washington DC), access to a powerful regional network, cost saving opportunities and talent/professional development. Members have opportunities throughout the year to participate in committees and attend more than 30 networking events and educational conferences. “Our parent company, ACC, has been headquartered in NJ since 1983 where we have provided automation services to all the major life sciences companies, including Merck, Pfizer, J&J and Novartis. New Jersey has the world’s highest concentration of scientists and engineers, as well as nearly 3,300 life sciences establishments. Becoming a part of this ecosystem was a natural step for Lab Owl. We’re excited to participate in the growth of the New Jersey biotech industry,” stated Kevin Hannigan, Lab Owl’s President. BioNJ continues to add respected members like Lab Owl and others to its membership portfolio, augmenting an already robust network, enhancing collaborative opportunities, and strengthening New Jersey’s vibrant life sciences industry. Established in 1983, Automated Control Concepts, Inc. (ACC) is an independent systems integrator delivering automation and manufacturing intelligence solutions to the industrial market. ACC helps businesses improve the efficiency, quality and compliance of their manufacturing operations through the strategic use of technology and standards (such as S88 and S95). Services include initial requirements definition and system design through the implementation and commissioning of plant-wide automation and information systems. ACC delivers solutions to a wide variety of industries, including Life Sciences, Consumer Goods, Food and Beverage, and Infrastructure. Typical solutions include PLC/SCADA applications, Batch and Recipe Management, Track & Trace, Plant Performance, and Control-to-Enterprise integration. ACC has offices in Neptune, New Jersey, and Rockville, Maryland. For more information, visit www.automated-control.com. Process development labs and smaller, growth-stage biotech companies share a common challenge when it comes to running their experiments: They’re often left out in the cold by automation technology products that are designed and priced for larger manufacturing organizations. Historically, smaller labs and new biotech companies have been forced to rely on inefficient manual processes that delay discovery, hamper growth and drain financial and human resources. Today, these companies have an alternative: LabOwl™, a bioreactor automation control technology specifically designed to meet the needs of development labs and smaller, growing organizations. Before Lab Owl, smaller labs and growing biotech organizations seeking automated bioreactor controls had few choices that met their unique needs. They could bust their budget for a product that was too expensive, too rigid (one-size-fits-all) and that ignored the specific needs scientists have in a research lab. Or, they could run slow, inefficient, hard-to-replicate manual experiments that require team members to work around the clock taking care of their cells, inviting burnout and human error. Lab Owl is an alternative to one-size-fits-all, expensive automation products and inefficient, resource sapping manual processes. Lab Owl gives development labs and growth-minded companies access to a scalable, highly flexible and integrated bioreactor control system priced and built specifically for them. Easy set up and scalability. In just a few simple steps, the Lab Owl system can be configured to achieve your unique experiment goals.. The interface was designed to be easy to use for everyone, from your lab techs to your Research Directors. The technology can also grow as you grow, helping your scientists from development through scale-up into manufacturing. Outstanding Flexibility. Lab Owl was built as an open system to accommodate a wide range of control devices and instrumentation, making it an ideal solution no matter what kind of bioreactors or other technology you utilize in your lab. Any user can also easily set control schemes and custom recipes using macros to automate their unique processes to achieve consistent results. Now you have the ability to easily run the experiments exactly how you want to so you can advance your research without limitations. If you need to extend capabilities, LabOwl was built for easy “plug and play” upgrades. Secure, Remote Monitoring. Scientists no longer have to come to the lab in the middle of the night to monitor and fix runs. Monitoring and control can all be done remotely, with push notifications, including alarms, sent right to a device. Automation and remote monitoring reduces staff burnout and can vastly reduce human error. Data Collection & Reporting. Lab Owl not only records data from your bioreactors, it captures data output from all integrated analytical instruments. Collection of all your data makes it easier to identify run issues and to fix them. The system empowers your team to quickly solve issues and identify what’s working so you can do more of it, more efficiently. Outstanding, Ongoing Support. You and your scientists will have access to ongoing, expert customer support from day one. Installation and setup is just the start of a long-term consultative support relationship that lets you focus on your research knowing we’re there to make sure your technology is always working the way you need it to. Strong Return on Investment. When compared to other automated control systems, Lab Owl is affordable and, even more importantly, you only pay for what you need. As your needs change, as you grow, you can make strategic, easily implemented upgrades so the platform can grow with you. For small to mid sized biotech companies and development labs with limited budgets and resources, Lab Owl is a true gamechanger. With Lab Owl you get the latest cutting edge bioreactor automation features at an affordable price that makes what used to be impossible, possible.